Janette Herrera, a lifelong resident of Bronzeville and self-proclaimed historian, enjoyed the musical performances at the Bronzeville Cultural and Arts Festival as she reminisced about her historic neighborhood. She described Bronzeville’s thriving social, cultural and economic state when she was younger. She pointed to where the first black library used to be, where the grocery store, social center and popular barbershops were. She spoke of the great jazz musicians that used to play down the street. “This is all significant. Everything is significant… This is history. A lot of young people don’t know about it, and they need to know about it. That’s why we’re here today,” she said. The stretch of North Avenue from Martin Luther King, Jr. Drive down to 7th Street was filled with food vendors, artistic displays, booths from local organizations and shops selling brightly colored African-inspired clothing, jewelry and beauty products. 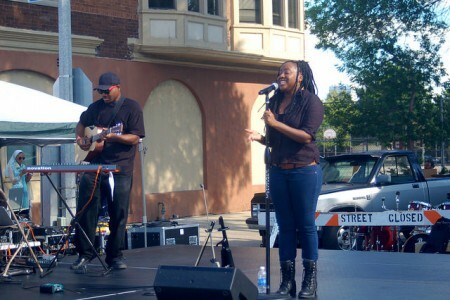 The local band Cigarette Break headlined the festival, and one of two stages was dedicated to gospel music. 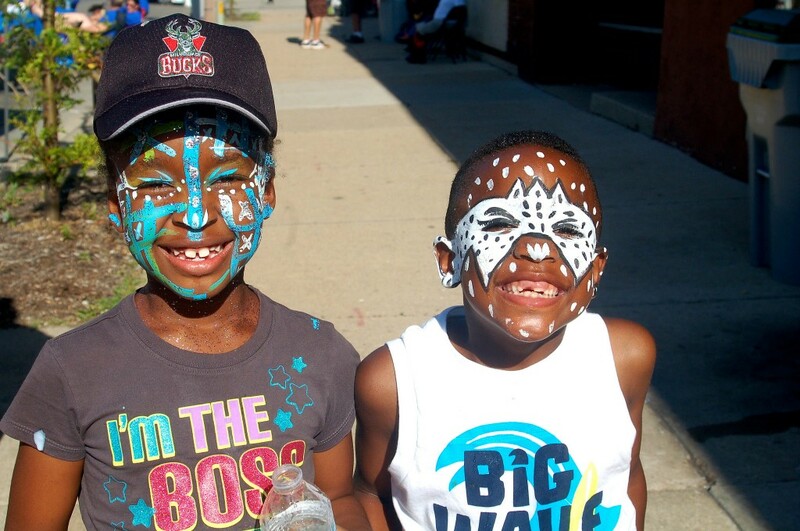 Bronzeville Week has been packed with events such as a neighborhood cleanup, health checkup, business summit, networking mixer, softball game, bike ride and poetry breakfast. In addition to honoring the culture and arts of the neighborhood, Bronzeville Week aims to promote area businesses, and serve residents and families. “We really wanted to have something for everybody,” said Jamie Montgomery-Baker, of Friends of Bronzeville. “It’s important to us that we maintain the history and carry it through for our children and create that legacy so they understand where they come from, while also carrying it into the future,” said Montgomery-Baker. She explained that at the turn of the 20th century into the mid-20th century, Milwaukee’s African-American population was concentrated in and around Bronzeville because of segregation. “All of this area is significant because we were limited. This was the area where black folks were developing businesses… We weren’t allowed to go anywhere else,” said Herrera.